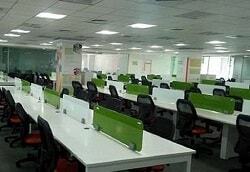 RENTOFFICES.IN - Office Space for Rent in Andheri East, Mumbai - Lease Commercial/Properties in Andheri East. Office Space for Rent in Andheri East, Mumbai - Lease Commercial/Properties in Andheri East. Office Space for rent in Andheri East, Mumbai. 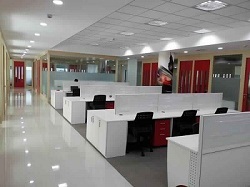 5035 sq feet ₹ ﻿120 per sq ft/Rent commercial/office/space for lease in Andheri East,Chakala, Andheri Kurla road, in Solitaire corporate park,commercial building,﻿﻿close to metro station, fully furnished with six free car parks rent/sale office/spaces/commercial/properties in andheri east /buildings mumbai. # India !! ﻿560 units available for rent in Andheri east View on blog with images. 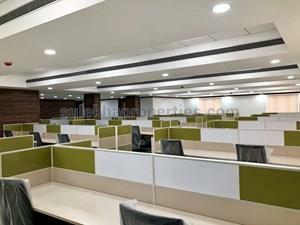 +70 work station office space for rent in andheri east, 6000 sq ft @ Rs 125 per sq ft andheri kurla road,chakala,near highway with 5 cabins , reception area 3 washroom 4 car parks , rent commercial properties at andheri east kurla road mumbai . Commercial Office Space for rent in Andheri East, Mumbai. well done up office space for rent in andheri east,chakala, 2500 sq ft fully furnished @₹ 267000 per month rent in Andheri kurla road Mumbai, with best interior works + 45 work seats in business square rent office space in andheri east mumbai. 600 sq ft office space on rent in wall street, andheri east, bup area 1000 sq ft at andheri kurla roiad Rent ₹﻿130000 lease is office/space within chakala having 5 star facilities a commercial complex at andheri kurla ,well furnished with 12 workstations, 2 cabins + reception area , meeting /conference room Mumbai. +50 work setas office spaces for rent in Andheri east,Mumbai 3000 sq ft @₹ 115 per sq ft in rent office space inSolitare coporate park chakala andheri kurla road . 1250 sq ft small office for rent in Andheri east ,Mumbai Rs 140000 per month lease commercial properties in wall street at chakala Andheri east fully furnished ,India @ Mumbai. ﻿Office Space for rent in Andheri East, Mumbai . ﻿2 to 10 lacs office space for rent in andheri east Rs 100 to 120 per sq ft 1000 to 10000 sq ft in solitaire coporate park, business square, ,atrium, Windfall, Omkar summit, Dynasty, Sahar plaza, Time square ,Leela business park, Mumbai.﻿ 500 to 25000 sq ft available. 500 sq ft Rent Rs 60000 office space for Rent in Andheri East, Mumbai Chakala, Rent fully furnished comemrcial/ spac/ building near metro, just walking distance to railway station Mumbai plug n play for small / large coporations . 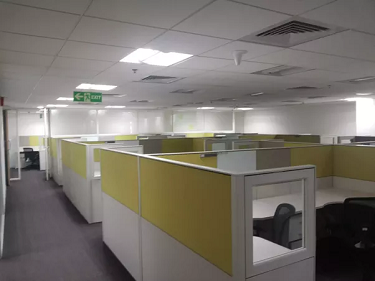 Excess office space on rent in Andheri east, 2500 sq ft lease well-furnished commercial property located at chakala, plug n play + 38 work station ,cabins, reception area @ ₹ 255000/- rentals per month blink to metro station at solitaire coporate park .andheri east Mumbai . 753 sq ft small Office Space for rent in Andheri East, wall street,Mumbai Furnished Office Space Kanakia Wall Street Rent ₹ ﻿100,000 Age Of Construction: 1 Years close to metro station and chakal andheri kurla road well furnished + 10 work station cabins conference room lease this building space in andheri east wall street glass face commercial property. Office Space On Rent in Andheri East Mumbai . Commercial/Office Space On Rent in Andheri East Mumbai . ﻿Rent ₹ 1,30,000 per month office space for rent in Omkar summit andheri east,chakala, plug n play ,rent office space in andheri east vastu approved,well furnished , new building andheri kurla road blink to higway and metro station,Mumbai city . office space On rent in Andheri east, Mumbai. 1 to 15 lakhs office space for rent in business square Andheri east, in solitaire Coporate Park / Atrium /Omkar summit / wall street / Time square / Windfall / Leela business park / Dynasty / Midas / Omkar summit / The metro avenue / Atrium / Rs 90 to 120 per sq ft at Mumbai andheri kurla road Marol and j.b. Nagar all fully furnished plug and play 500 to 25000 sq ft .
Offices on Rent in Andheri East, Mumbai . Commercial/Space on Rent in Andheri East, Mumbai. 1900 sq ft commercial/space on rent in Omkar summit,Andheri east, Mumbai ﻿Rent @ ₹ ﻿250000 payable monthly lease this office/space in andheri east fully furnished at chakala, andheri kurla road, with 30 + work station , 3 cabins , 1 conference room ,2 washroom , Mumbai city. 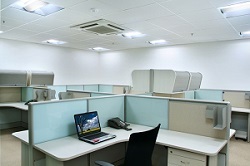 Get 800 sq ft office space on rent in Andheri east, Mumbai hub-town solaris ,close to railway station Rent ﻿Rent @ ₹ 110000 office/space on lease within commercial building small office space just fully furnished in mumbai andheri east glass face building, enjoy the connectivity of highway ,s.v.road and railway station ﻿# India. 2 - 5 lacs Office Space for rent in Andheri East, Mumbai. 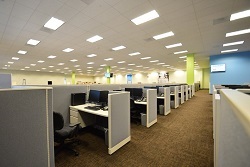 ﻿﻿MORE THAN 560 UNITS AVAILABLE UNDER ONE ROOF CALL NOW !! 500 to 100000 sq ft ! !